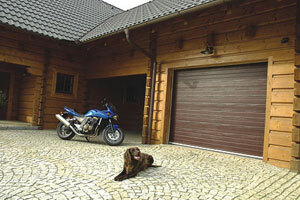 Our company offers complex solutions for garage and industrial doors. Section garage door manufactured from sections of double-sided steel sheeting with anti-corrosive plastic coating provide high safety	with exceptional heat insulation characteristics. 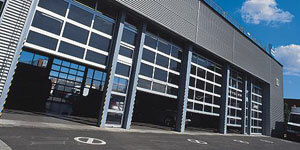 Sectional industrial doors have been mainly designed for the use in industrial objects and warehouses. Construction and design reflects these needs and demands. 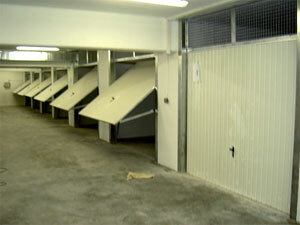 Hinged doors are modern, substantial and of lasting construction and therefore guarantee comfort and safe use. The main advantage is the favourable price and possibility of custom-made production. Hinged doors are very quiet and slide up under the ceiling of the garage, which allows the use of the whole garage area. 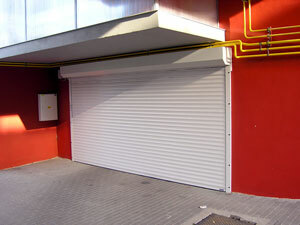 Roll up doors are manufactured to exactly fit the building situation and do not need any place under the ceiling and are known for their safety and maintenance-free use. Na veškeré vratové systémy poskytujeme 7 let záruky.